Alfo84, Nimo and sandiway like this. Nice! I have the same thing but red stitching to match my interior. I really dig the white stitching with the white car though. That looks nice. Alfo84, Docron, Nimo and 2 others like this. Last edited by milo; 02-28-2019 at 02:21 AM. Purchased from a vendor? Custom made from an upholstery shop? Inquiring minds want to know. So my question is.....for those that did the color match stitching hat color is our stitching? Red or dark red? 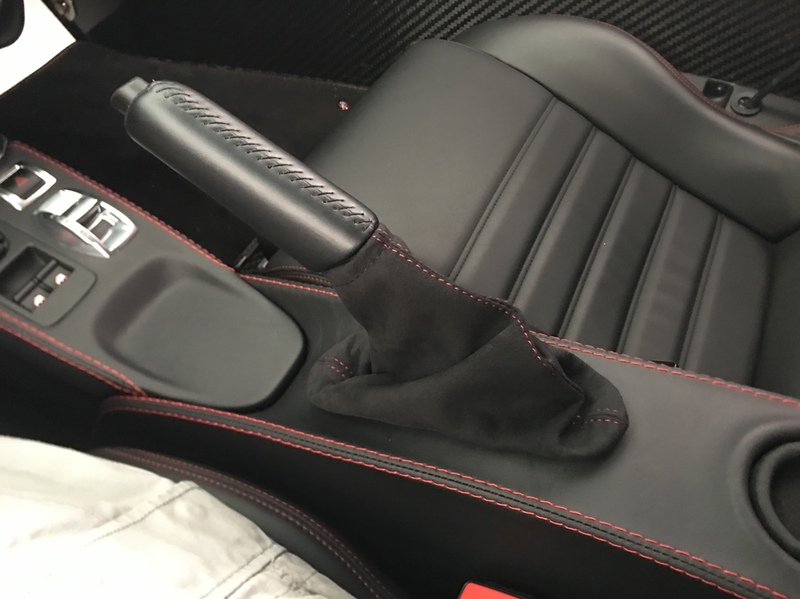 Also for those who wanted alcantara...did anyone try the faux alcantara? Last edited by ehagerty; 02-28-2019 at 03:30 PM. I think I just did red. Is it plain Red or Dark Red? And, the alcantara is Charcoal or Dark Charcoal? This one is black alcantara and dark red. Courtesy of DocRon who gifted it to me. Z00L, lars and ehagerty like this.